Born in 1960 in Tehran, Azar was one of the daughters of the famous and popular Rezaii family who had lost four of their children in the struggle against the Shah’s regime. So, she had been involved in the struggle since very young age and even imprisoned at age 14. 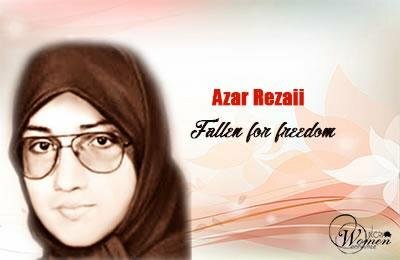 After the fall of the Shah, she joined the PMOI and worked with the students’ department. Azar was married to Moussa Khiabani, deputy to the PMOI leader. She was slain with her unborn fetus at the time of the attack on February 8.